Pride: All people are allowed to feel good about themselves and their abilities. Equality: All people have equal rights. Freedom: All people are entitled to freedom. Inclusive Communities: All people have the right to be part of their communities. Self-determination: All people deserve to live their own lives. Without the support of others, People First of Missouri would not be as strong it is today. 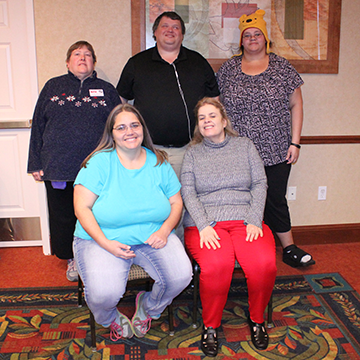 Local self-advocacy chapters also receive support from disability providers and senate bill 40 board organizations.